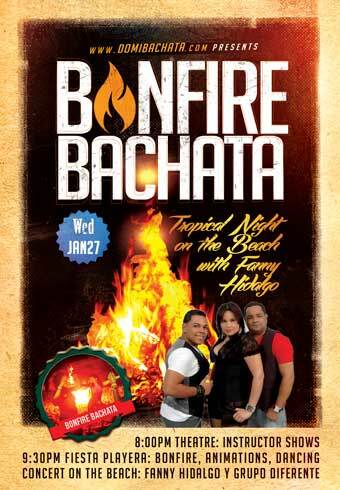 Dominican Republic has totally different bachata party life compared to any other country in the world. 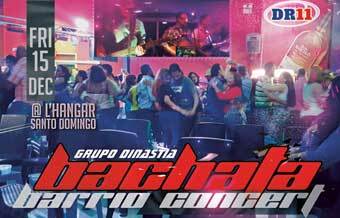 While the rest of the world has dance school organized parties with just the bachata school students, DR has all kind of clubs with all kind of Dominicans and practically none of them have never taken bachata classes. Bachata music plays everywhere and it's socially accepted to dance it nearly everywhere. The typical places to dance bachata are: drink shop (colmadon), car-wash, bar (sport bar), whore house (cabaret), terrace (terraza), disco (discoteca), river (rio) and spa (balneario). Let's see how these places look like. Dominican Republic is full of drink shops (=Colmadons). They sell beer, rum and everything - with a smile and bachata. Dominicans don't buy and drink only at home. The hot climate means fast drinking on the spot. The second beer is to sit down and relax. The next step is to think the meaning of life, practically staring at the fancy ladies or handsome men enjoying the music. It's the sign to share Brugal and start dancing Bachata. COLMADON MAGIC has always been part of our festival. We have and excellent colmadon in Zona Colonial and many many excellent colmadons in the barrios, on the highways and in other cities. Some of the Colmadons are pretty beautiful places and many of them have excellent floor for dancing. Yes, they wash cars in Car-Washes :-) At night Car-Wash transforms into huge drink, dance and concert venues. 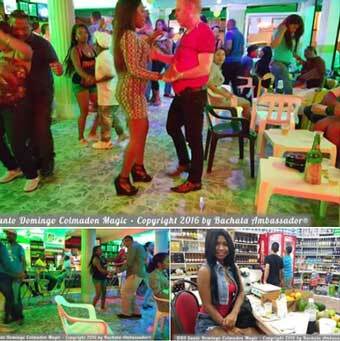 While Colmadon is mostly a small pop in for a beer place, Car-Wash is a huge concert place in the barrios where you are supposed to have a table with Brugal servicio to enjoy the concert and dancing. 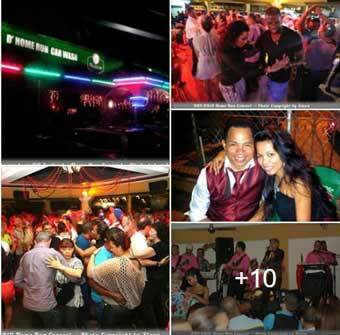 We have had Car-Wash with live band in all our DR bachata festival events. Cabaret does not refer to a French high society show club. In DR it means a whore house with bachata music and dance. Bachata was born in these places. There are a lot of Cabarets in Santo Domingo, but most of them are too strange or dangerous to be visited. 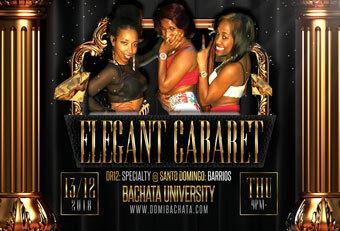 We know the Cabarets that can be regarded as one of the best bachata dance places in Santo Domingo. We are not ashamed to show the places where bachata was born and which still have the bachata ambient. 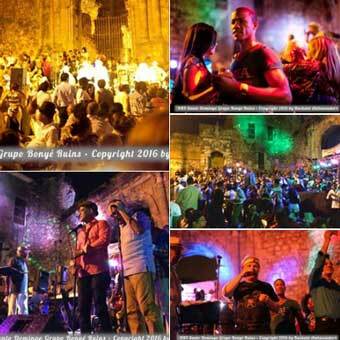 Grupo Bonyé plays every Sunday merengue, son, salsa, bachata, bolero and a lot more @ Las Ruinas de San Francisco Santo Domingo. Thousands of people drinking, dancing and enjoying the life. So beautiful, so spectacular! You have to see it and preferably to spend several hours enjoying the Dominican music and dance life. DR4, DR5, DR6, DR8 and DR9 participants have already seen it. In DR11 we don't have time for it, but most probaly in DR12. . Look at the gorgeous fotos, dance enjoyment and Bachata Ambassador Vesa making the DR festival famous for masses. Restauranyt L'Hangar is one of our favorite bachata clubs in Santo Domingo. They have always an excellent bachata band and you might see really good dancers over there. The videos of Johan&Yocasti and Popi&Fanny were filmed in L'Hangar. DR11 will have a concert party in L'Hangar. 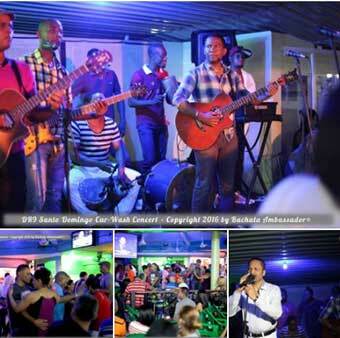 Club Merengue is one of our small club favorite in the heart of Zona Colonial Santo Domingo. We have had many parties over there. It's really beautiful and exotic with excellent ambient. DR11 might have some pre-party over there. These videos were filmed in Club Merengue: DR6 party, Rodolfo&Yocasti Salsa, Vesa&Yocasti Bolero, Rodolfo&Yocasti Bachata, Vesa&Yocasti Merengue and Melanie concert. We recommend to glance quickly the concepts and to read the Authentic Bachata® definition. You'll notice bachata life being totally different in DR compared to all other countries. Bachata Ambassador® Vesa has written a definition of the Authentic Dominican Bachata. Read it carefully or just glance all the videos to get at least some idea of how Dominicans dance bachata. Make sure to understand that Authentic Bachata is a social dance, not a formal show or competition dance. Dominican clubs don't organize bachata shows and competitions. Exceptions apply, especially salsa competitions in TV channels. Bolero is a 130 years old romantic latin dance. Please, read the Bolero page to understand why we have a couple of Bolero workshops and Bolero&VintageBachata Night Party. The workshop Extended Bachata Roots will be an exciting journey to tainos, conquistadors, slaves, palo, atabales, religion, belief, fears, leisure, celebrations, politics, bourgeois, peasants, trujillo, merengue and tipico in the timeframe 1400-1960. We will raise up the details which had an impact on the evolution of the music and dance in Dominican Republic. 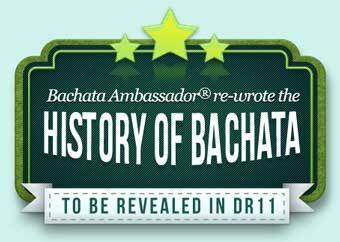 Bachata Ambassador re-wrote the History of Bachata, because the "Official Bachata History" or the "Internet Bachata History" is full of confusing errors. The history was easy to correct, because most of the bachata artists are still alive and willing to tell the truth (at least from their point of view). Bachata Ambassador got invaluable help for his studies from the Dominican historian Melody. Musicality means dancing to the rhythm, melody, and mood of the music. It's the key issue in any dance and especially in the Authentic Dominican style bachata. Dominicans seem to hear bachata more diversely and their stepping has logics unknown to the rest of the world. Dominican bachata has On1, On2, On3, On4, 4 step, 3 step, double step, triple step, syncopated step and chachacha step. Dominicans always dance to the music, some perfectly but everyone at least believe following the rhythm. Musicality is actually a highly complex set of issues. In the beat level you'll find the stepping technics and stepping to the rhythm of the instruments. The skill of hearing the measures and sections is even more valuable, because failing in hearing the music section changing is the moment when Dominicans say "you can't dance" or "you are out of the rhythm". Their perception of the rhythm is in higher musicality level than ours. The highest level "melody and mood" means living the moment in a deep sentimental and musical understanding. Adding the cultural customs, habits and patterns to each individual song in each different village or suburb makes the musical perfection impossible, but highly recommend way of enjoying the life learning the new way's to express yourself and to love dancing as it would be the life itself. We have invested a lot to the musicality workshops. Our event is the only bachata festival in the world covering all the musicality levels. All our diamond level Dominican instructors are well prepared to give you a huge amount of musicality workshops. In addition you'll be 9 days surrounded by the music and musicality with Dominicans. The authentic environment will fill your brains with all the musicality levels. Our event in DR will certainly change your way to hear and to dance to music. Merengue is the most popular dance in Dominican Republic and also well-known all over the world. Tipico (Merengue Tipico, Perico Ripiao) refers to the fast tempo old fashioned music&dance, which is still nowadays common everywhere in DR, especially in Cibao (Santiago area). 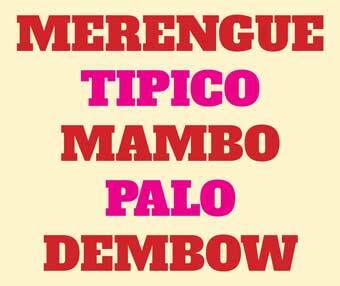 Mambo (Merengue Mambo, Merengue Urbano) is the urban version of Merengue. Dembow is the Dominican Reggaeton enhanced with with Mambo, Urban, Hip-Hop, Electronic and the Dominican way of doing and dancing the music. Merengue is a pretty dance. International dancers regard Merengue boring, most probably because they just cannot dance it enough well. Have you seen the Yocasti&Johan quality outside DomRep? Tropical beach on fire ! Hot hot emotions !! DR3, DR6, DR8 and DR9 had such a wonderful moment with the Bonfire Bachata :-) We hope to do it again in some future festival.